·Micro-computeautomatic adjusting function,intelligent field engineering pecupearity. ·Dozen types of the output module can be chosen for best manner. ·Multiple input signal,you can set the input method at field. 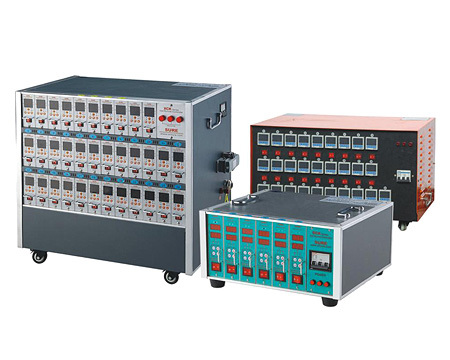 ·Customize asynchro serial communication connection.To make up the low cost high capability centralize control system. ·Adopt phase angle heating output and manual/Automatic soft start-up safe mode,prolong the lifetime of the heater. ·Heating power range from 3.6KW/16A To 6KW/30A,and output with module controlling. ·Automatic compensate of the environment temperature,the control precision can reach up to ±0.1℃. ·Double alarming system by the Thermocouple and low sound and light.Can remind the operator in noisy environment. ·Thermocouple break and inverse detect display function.